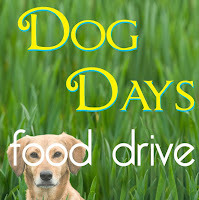 To Dog With Love: Noms for a Cause: Easy as 1-2-3! Noms for a Cause: Easy as 1-2-3! of 230 pounds of pet food to Save Our Pets Food Bank! Never one to part with a morsel of food, even Cosmo knows when it's the right thing to do. 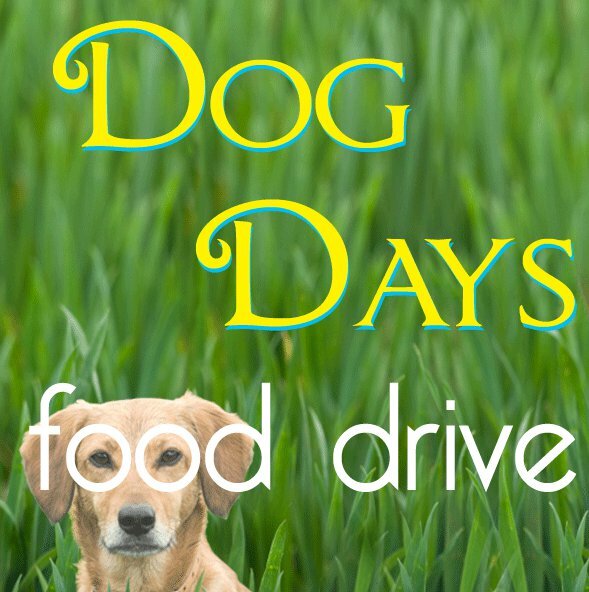 So when we read about the Be the Change for Pets Dog Days of Summer Pet Food Drive, we told a few of our neighbors and everyone wanted to help. Today we made our donation of 230 pounds of pet food to Save Our Pets Food Bank in Atlanta! Save Our Pets, founded by our neighbor Ann King, has helped more than 1,500 families, 500 pet rescue groups and more than 3,000 pets since July 2008. Ann also has compiled a national pet food bank directory. To get your pet food assistance program listed, send an email with your organization's contact info and details to bloomeyceo@aol.com. Thanks and Cosmo smooches to our BlogPaws pals for organizing Be the Change for Pets and this much-needed pet food drive! Huge thanks to our friends and neighbors for the generous donations! It's easy as 1-2-3 to Be the Change for Pets! Play the vid, get inspired and help the anipals who need it most! That do be a lot of noms, Cosmo. Nice donashun for our shelter furrends! Hi! Thanks for donating so much pet food to the homeless animals! I found your blog through the Saturday Blog Hop and will be following! Wow that is a lot of food you put together. Way to go Cosmo! Thanks for joining up with the blog hop. Just hopping through and so glad to see all the noms you've collected! And, Cosmo is a doll! I am chewy and I found your blog on the blog hop! Wow you guys collected alot of food! Good job guys! Wow! That's so much food! You guys rock! I'm sure a whole bunch of pets are going to be very happy.